Donerry Matte Lipstick is a quality product that is long lasting and stays strong even after eating or a long day. 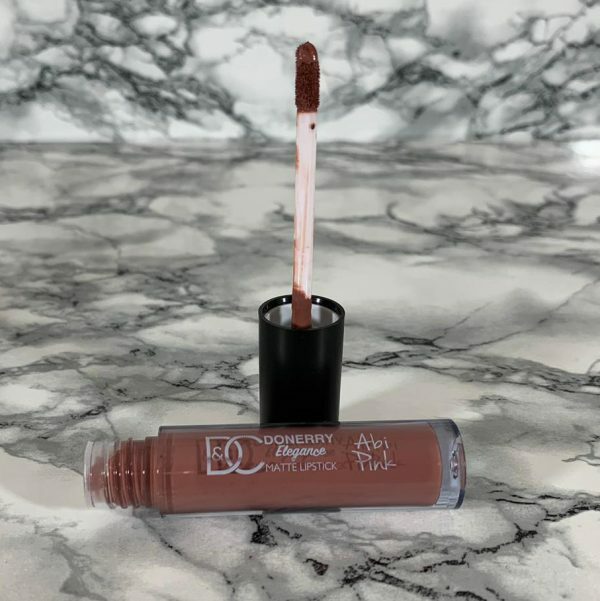 The lipstick is a liquid lipstick that comes with its own applicator and is quick drying. This lipstick has also passed the Donerry kiss test…. This lipstick dries quick and is very long lasting. It stays strong and rarely needs re-applying even after eating a meal or some (light) kissing. The choice of 8 colours have been selected to give a wide choice to complement almost any occasion or to go with any outfit. Each colour has been carefully chosen and then named after someone close to us, either a friend or family. All of these colours have been tested and fully used for an extended period of time by our very own CEO Cherry Marshall. This is to ensure the quality is of the highest level before we sell to you.